Use our spice labels to add to your spice bottles. 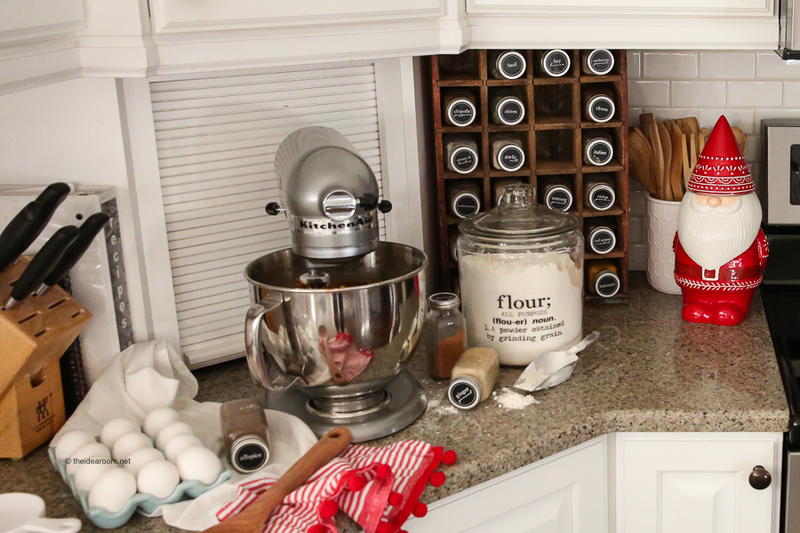 They are a great way to organize your kitchen spices and to make the bottles a pretty addition to your kitchen decor. Looking for some cute spice labels printables? You came to the right place! I just created some for my own kitchen and wanted to share them with you! I had an antique Dr. Pepper crate that I had been using in my office to organize some of my craft supplies, but it was hidden away behind a cupboard door. It is too fun to be hidden away. Then one day I realized that it would make a perfect spice rack. I had been slowly buying my new spices in these cute spice jars from Target. They are in the spice aisle and they are made by the Simply Balanced brand. The jars fit perfectly. So…I wanted to create some printable spice labels to pretty the spice jars up so they could be displayed in my kitchen. Don’t you think they look so pretty? Almost too pretty to use…These spice labels have held up so well. They can even be wiped off gently with a damp cloth if they get a little dirty. Or you can simply reprint another label and replace it with a new one. With a big family, we do tend to go through some of these spices rather quickly. So we do buy a lot of our spices in bulk from Costco and then I just store the bigger bottles in the cupboard directly above these smaller bottles of spices. This way the big bottles of spices are hidden because they are pretty ugly. I just refill the smaller ones when they get low. So far it has been a great system. It is also much easier to find the spices we need rather than trying to dig through each one in a crowded cupboard. I want to share these labels with you. Even if you don’t have a vintage soda crate to store them in, there are several different options and spice racks you can use. 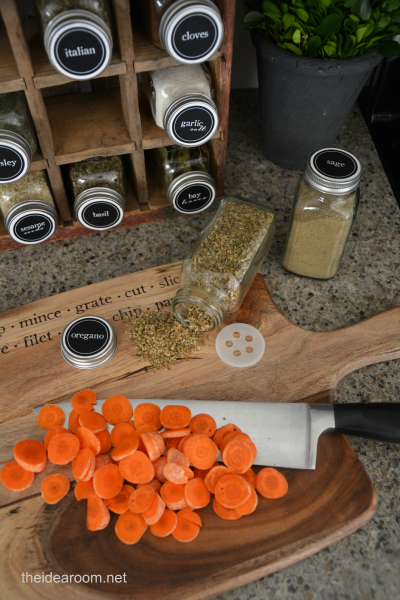 Or just put the round DIY Spice labels on your current spice jars to fancy them up a bit. WHAT SHOULD I USE FOR MY LABELS? I tried a few different materials to print these labels on to see which material I liked the best. I used some Avery Sticker paper that came in sheets first. They work great and have been my paper of choice to print on and use for these spice labels. If you don’t want to use a sticker paper, you can simply print these on a white computer paper. The better quality papers will last longer and have a smoother surface which is easier to clean off if needed to with a damp cloth. When you order your labels you will be sent an email with a link to the labels. You will then be able download the labels to your computer. Print the labels at home if you have a laser jet printer. Be sure to use high quality toner and a good clear sticker or white sticker material. 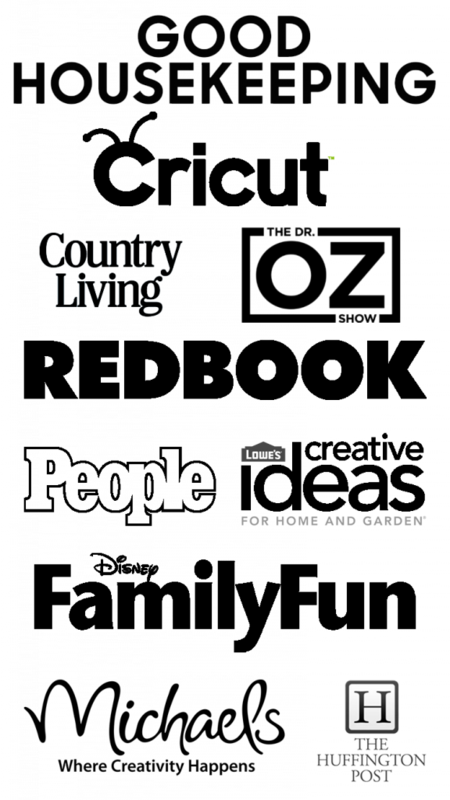 If you do not have a printer at home or think your printer may not print in a higher quality, you can get the labels printed at a copy center using their laser printers and sticker/label paper. Then cut them to the proper size so that they fit onto your individual spice lids. I use a 1 inch hole punch to cut out each label. This is the fastest way to cut them. Or you can cut around each one individually with sharp scissors. Then simply add the stickers to the lids of your spices. Be sure the lid is clean so the stickers stick well to the surface. I like to make sure the lid is all the way on and then stick the stickers on so that the wording lays horizontally when the spice bottle in in the spice rack. This way they line up all nice and neat in the spice rack! To clean the label, simply wipe them gently with a damp, clean cloth. You can clean the inside of the containers. Just be careful not to soak the labels or get them too wet or they may peel off of your container. If you labels get too old or too dirty to clean properly you can reprint the labels again and replace them with new ones. Thank you for this printable…just what I needed for the cabin. You are so welcome Teresa! haha! Pretty labels are more than just pretty…they are helpful too haha! I would never be able to figure out what the spices were by looking at them either. Thank you so much for this idea, I had a blonde moment and read the spice jar’s wrong & thought you just bought the jars & then filled them. lol I found just jar’s that I really liked, your way is a lot cheaper. Thanks again for all your work and for sharing it with us. Happy Crafting!!!! ha! You are so sweet! We go through quite a bit with a large family…so we have to buy in bulk! You are so welcome! I am your fan on FB but keep getting the message Page Not Found. I can’t figure out what I am doing wrong! You might have to refresh the link. It will give you an error sometimes and simply refreshing can fix it. I am not sure why. I’m not on facebook. Can I still download the printables? I am sorry. I am just running them through FB. How cute is that…I love this idea…thank you so much for the printable…I think I will down load them and keep them until I can get a crate,…because I want one of these for my new kitchen…again…thank you so much…. You are so welcome! I am glad you like them. Yes. Get them now. Sorry for the inconvenience. Sometimes you need to just refresh the page. If there is a lot of traffic it will time out for some reason. Let me know if you still need help. The note on this site says they were only in the store now. I wish they had taken the free tag off. I do not use my credit card on internet sites. I’ve wasted a lot of time. Thank you for the cute labels. Did you use a punch to cut them out? If so, what size? Oh yes! I forgot to mention that. Thanks for asking. I did punch them all out with a 1.5 inch circle paper punch. You can find them in the scrapbook aisle of your craft store. 1. they will not receive them after they buy them until you physically send them to their email address (most places will direct you to a link where you can download them immediately upon payment). again, I truly do love all your awesome ideas, and pintable’s, just a little disappointed in this transaction. Dont purchase anything from amazon, then… They make you wait for deliveries. Days. #1 rule re printing on prepunched stickers or printing on color tab t of c sheets: check size file will print out beforehand by printing on a plain sheet of of #20 paper. First. That one piece of 20 weight costs about 1/10 of one cent. #1 rule about not having enough info: Ask. Before leaping. #1 rule about crafts: if they go wrong, it’s usually operator error from bypassing reasonable pre-tests, not prepping as needed, not asking precise questions of those in the know. All these cut way down on ‘ruining’ anything. Thank you for this idea! I have an old coca-cola crate I love and was not currently using (and sad about). Plus I have always liked the Target spice bottles too! I had even searched on Pinterest ideas for using the crate. It always makes it out for table decor at parties (it once held individual desserts at a western themed baby shower). 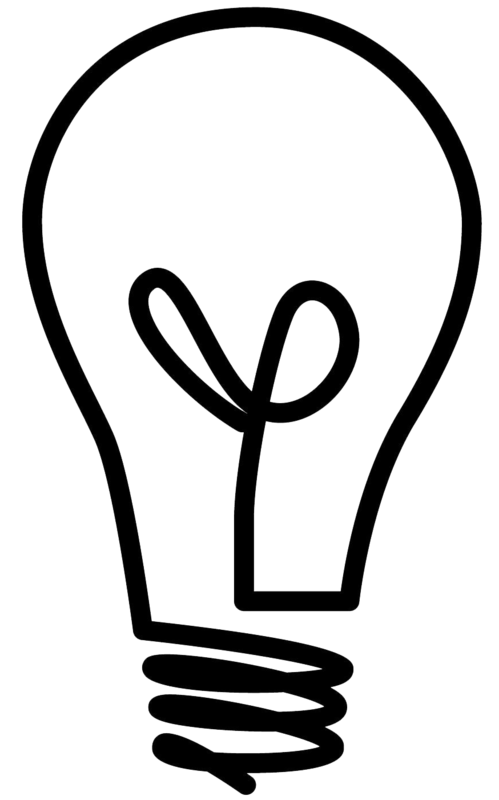 Keep the ideas flowing. We appreciate them. Thank you so much Geri! I love sharing too…so it is a win/win. Glad to give you another use for your crate! Thanks so much for the sweet comment! Looks great! 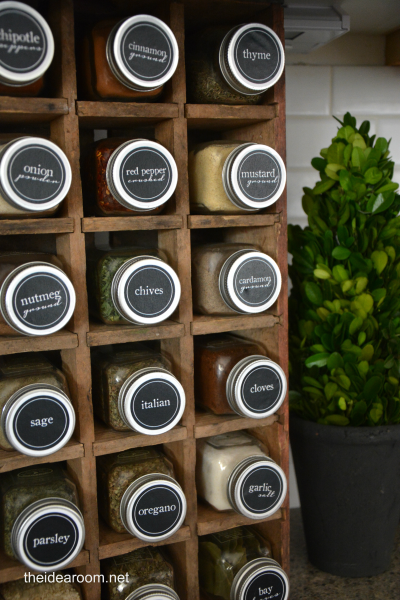 I could have totally used those labels when I first made my coke crates into spice racks, haha! I had good intentions, I MEANT to make labels, eventually… but for (way too long) a while the sharpie was my only organization tool. The Jars I was using I had purchased in bulk online, and then one day in the store I realized that my jars matched the Morton & Basset jars from the store, and they were labeled! So now I’m committed to swapping out for those. Yours, are way cuter. Here’s my post from a few years ago (http://ninered.blogspot.com/2010/04/spice-rack-update.html) which was in our last house, and pretty bad photography, haha.. Always keep an eye out for those crates! They are so handy. haha! Sharpies are one of my favorite tools! Now you can print out some labels to replace the sharpie! Wish I would have seen yours two years ago! LOVE these crates. I need one more! TU for these! I spent 1/2 day looking for spice labels that were pre-printed (I HATE my messy writing) and gave up. I have jars bought and now I can move on it. 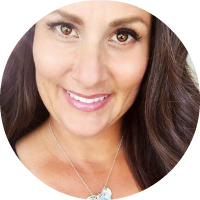 I’m so sorry to hear dishonesty making more work for you, I appreciate you sharing very much! Thank you Heather! It’s not really about the extra work…just wish people would be honest. Thank you so much for the sweet comment. I don’t love my handwriting either! Can I just say how shocked I am that someone would take you free printable and sell it??? Can I suggest putting some identifying and/or copyright information on every download you offer and locking the pdf file so it is not editable? That might help. What an awesome idea!! Love it!! How many ounces are the bottles? 4oz, 8oz or 16oz bottles? The ounces are all different depending on the spice in them. So I measured the bottles and they are 4.5 inches in height and about 2 inches in width. Hope that helps! Love this idea so much I just went on ebay and bought a dr pepper soda crate! Oh fun! I am so glad you love it and found one!! I am starting to place my more involved printables in my shop after making them available for free after a few days due to people mis-using them and selling them in their own shops. They were free for 5 days before I moved them over. If I pay and download the spice jar circles, can I edit them to change them if they are not what I need? You can edit them in your own photoshop program. They are sent as a PDF. I love this idea and have already found a coca cola crate to use! I’m happy to pay for the labels as I know they are a lot of work (thanks!! ), but is there a way to know which labels are included? Also, is it formatted to fit on avery labels or do you have to cut them out? I went to the store, but I didn’t see any additional information. I just added a list of the labels that are included! I should have done that to begin with! Thanks for the nudge!! darn found this too late. Hi Amy! Your organized spices are so beautiful! You have inspired me! 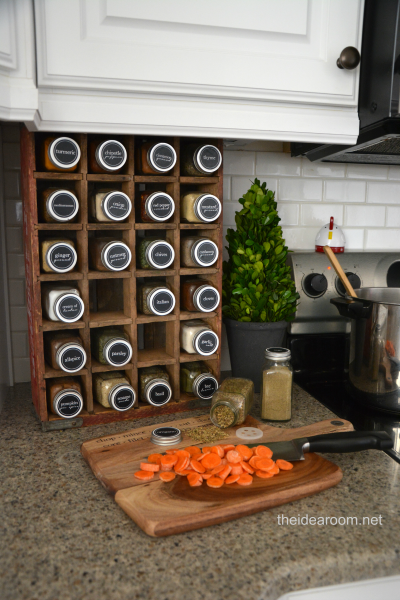 I plan to revamp my spice storage now, and would like to use the same bottles that you did. I have been looking for the french square bottles with aluminum lids, but only am finding black or white lids. Could you please tell me where you purchased these? Thank you so much! These are exactly what I’ve been looking for! After I purchase and get your email, do I just purchase white sticker paper and the black area is what prints? I don’t have a printer so don’t know how this works. Or can I just buy these already printed out somewhere? 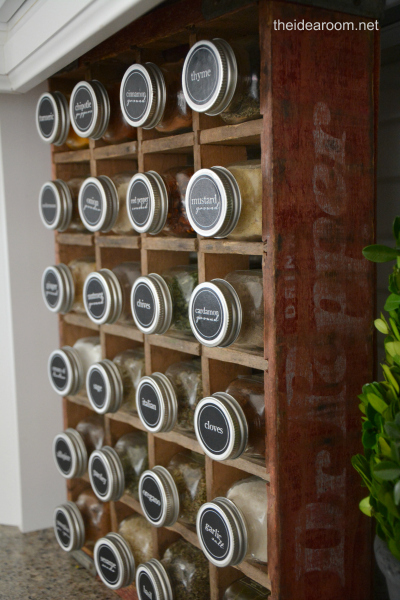 I love your spice rack repurposed from a Dr Pepper crate! It looks perfect in your kitchen. Thanks for the inspiration. Someone please help!! 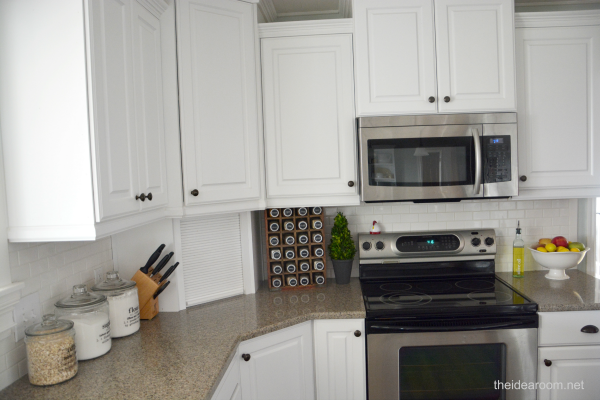 Where did you find the square jars? I’ve looked everywhere online and can’t seem to find any that matches the pictures. PLEASE HELP!! I had been slowly buying my new spices in these cute spice jars from Target. They are in the spice aisle and the Archer Farms brand. The jars fit perfectly. Darn. They are inexpensive to buy though. Thanks. Thank you for taking the time to create these and share them! Thanks for creating and sharing these! Did you paint your crate?! If so what color?! The crates I see is a very light wooden color – love the dark wooden look yours give! No, but you definitely could. Amy all your labels are beautiful and match my industrial pantry perfectly. I have all the downloads so far and bought the herb jar labels from your shop. I need a few extra jar labels and happy to pay for them as I live in Australia. I will send you some pictures once my walk in butlers pantry is finished. Just spent 4 days tiling with bevelled subway tiles and grouting forever and ever. semolina, slivered almonds, spaghetti and Salada. Thank you and bad form to those who on sell Amy’s work you should be ashamed. Thank you so much. Glad you are able to find the labels useful! I’m getting sick of this bait and switch crap on Pinterest. “Hey, come get these FREE printables” Oh, too late, you gotta pay for them! Bunch of BS! Sorry, others take advantage and ruin it for everyone else. which is to just stop looking for free stuff…..either that, or just get there on time! A lot of us didn’t make it in time, but we also didn’t blame anyone else for our mistake either….just sayin…. P.S. You do realize that this is a public site and everyone can read what you say on here, right? Just makin sure…. You can print on Avery labels or just cut out and glue with an Elmers Glue Stick. You make a black background circle then add the white lettering on top. Hope this helps. Thanks. I love these labels….but after 1 week my Avery brand stickers are peeling up…Eek! Has anyone had this issue? Do you think I can paint a clear coat of nail polish of them to keep them down? You could also try Modge Podge. Sorry, that is so frustrating! Can someone give me an idea where to buy the empty jars? I have the crate and the labels…now I just need good jars. Rocelia- Maybe you could just get some off of amazon. I just peeled off the label on some that I bought from Target. Your printable labels are cute! Any ideas of where I could get a similar sized jar holder? Not sure if there are actual wooden racks that will perfectly fit that size jars. Linette- You may be able to find one at a craft store. I will have to look around when I am out and about. Just found your site. Love these printables and your cutting board! Did you embellish the cutting board as well? Tutorial on the cutting board? Thank you so much! I’ve been wanting to organize my spices forever. Becca- So happy you found these helpful! What would I do without labels?! I have them on everything, especially spices! There are too many that look alike! Kristyn- Me too. I love labels!